Children learn rather early that they must ask for the things they want, but as they grow up, it’s important that they begin to consider the needs of others. Raising a generous child is synonymous with raising an empathetic child. It takes intentional practices like encouraging giving, teaching important habits, and modeling how best to care for others. Below are five ways to instill generosity today. One of the simplest ways to exemplify giving is to lend a hand to your neighbors. Perhaps an elderly neighbor is ill, or a friend down the street has recently had a surgery. Offer to water their plants or make them a plate of food and walk next door with your child. It’s a simple way to show your child what it means to be a good neighbor. Regularly engaging in service-oriented activities will help make giving a habit in your family. 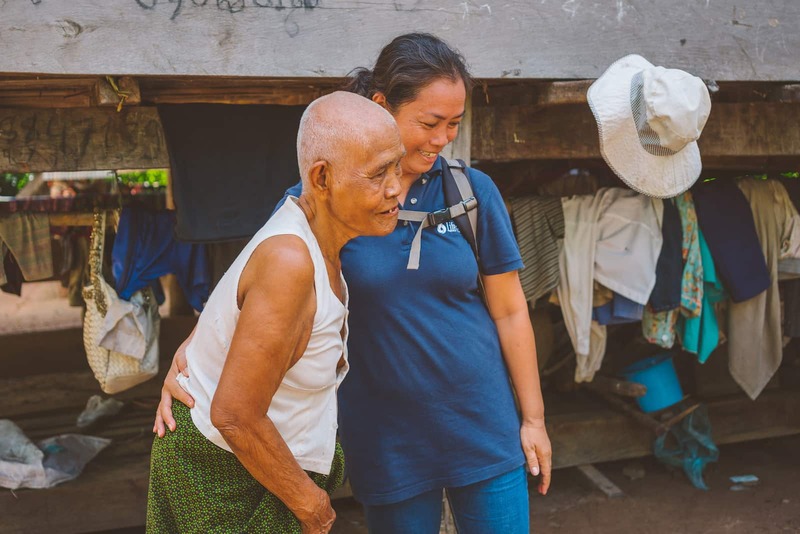 Lifewater staff in Cambodia support those who are particularly vulnerable to poor water access, sanitation, and hygiene. Donating is one of those age-old habits that will always be the mark of a generous person. When you practice this with your children, it’s important that you allow them to choose which toys to give away. Set a goal for what number of toys to give, and share with them who they will be going to. Be sure to encourage choosing clothes and toys that are newer or gently used. By giving the best items, your child learns sacrificial giving, and newer or gently used items provide a greater sense of dignity among those receiving your gift. Going through your own clothes and belongings for donation will also help demonstrate generosity for kids. Once all the clothes and toys are picked out, go to the drop off station to give together. Choosing a cause to support as a family is an excellent way to engage children in generosity. Here at Lifewater, we’re seeking to end the global water and sanitation crisis, one village at a time. Navigate to the homepage and click “Explore Projects” to learn the real names and stories of individual families in Cambodia, Ethiopia, and Uganda. There, you’ll see a family’s photo, a photo of a child just like them, and a picture of their current water source. When you give to clean water, you’ll get regular updates on the status of that village to share with your child. And, when children see the impact of your family’s gifts, there’s no doubt they’ll be inspired. Giving becomes contagious. 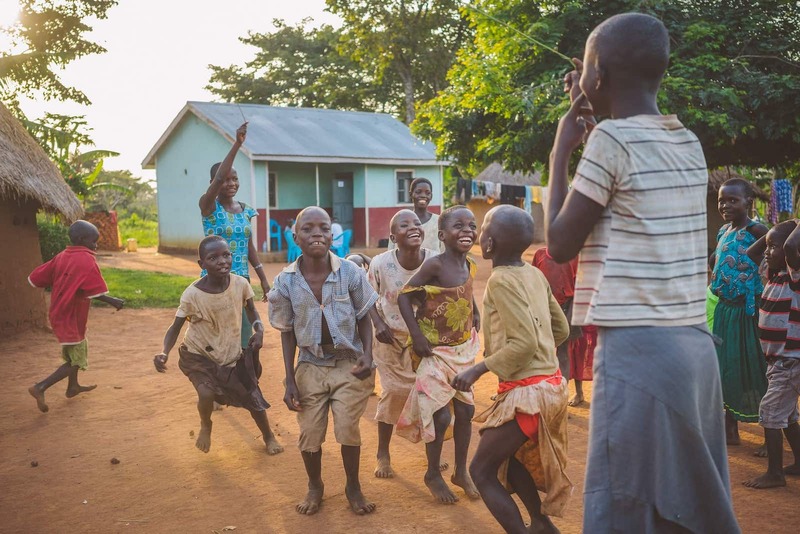 Children in Kaliro, Uganda jump rope. Words of affirmation can be powerful for young children. By encouraging them when they choose to give and praising others who are generous, you are setting a standard for “praiseworthy” behavior. Another practice that parents have found helpful is to focus on how what their child did has helped another. Most often, this motivates children to give again. Someone with a global mindset cares for the world and is curious about how to solve global problems. In addition, those who are globally minded are often generous people. Although it may seem like an abstract concept, there are a few tangible ways to foster a global mindset. First, nurture problem-solving and critical thinking. Encourage them to understand their own emotions by asking them questions about how they’re feeling and why. Ask them how what they do might make others feel. Empathy and compassion are key to generosity. Engaging in conversation about global problems helps children put themselves in proximity to the rest of the world. To learn about the water crisis and learn how you can help solve it, download the fact sheet here. Another way to raise a child with a global mindset is to visit museums, exhibitions, and spend time with friends from other cultures. Exposing children to the beautiful diversity in God’s creation expands their understanding of the world around them. Simple actions like these helps to foster generosity in kids and raise a child who cares for those in need.